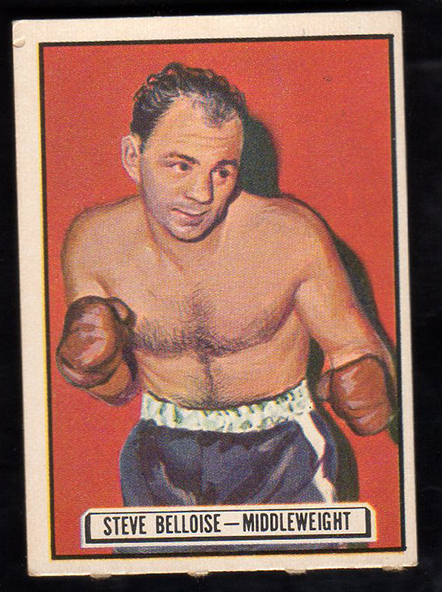 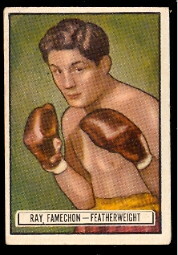 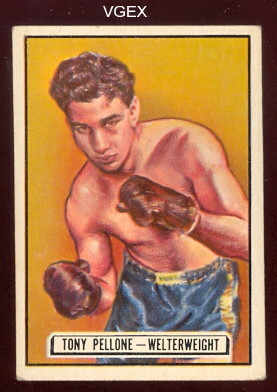 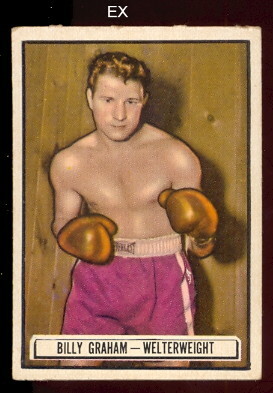 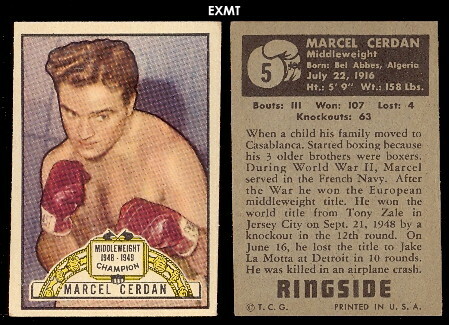 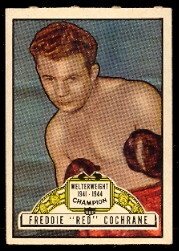 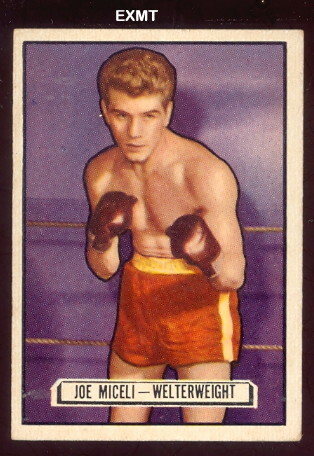 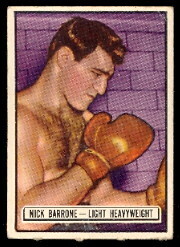 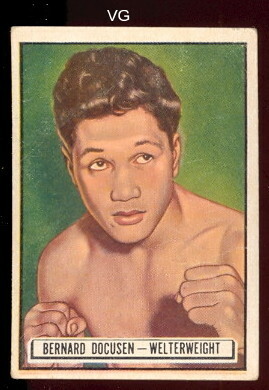 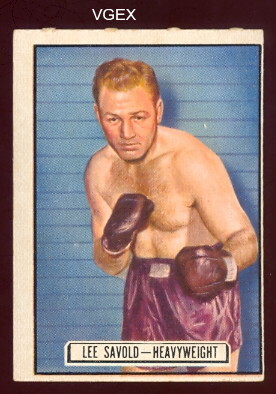 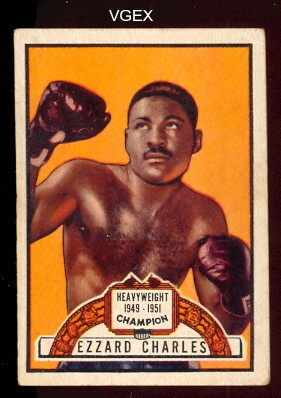 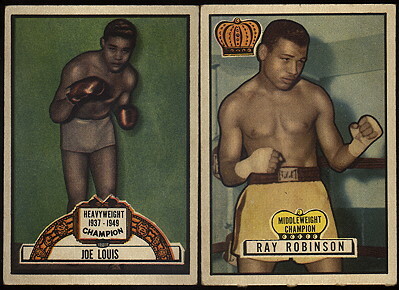 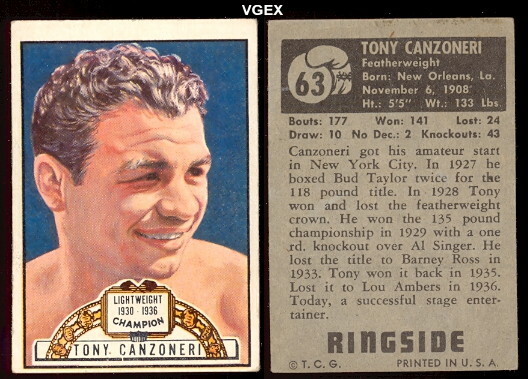 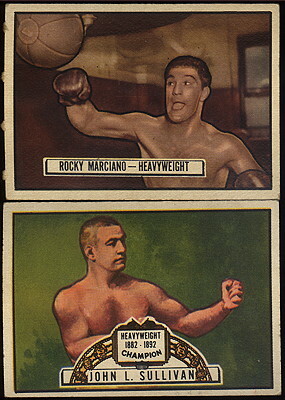 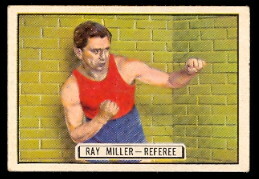 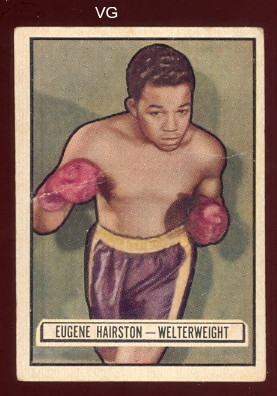 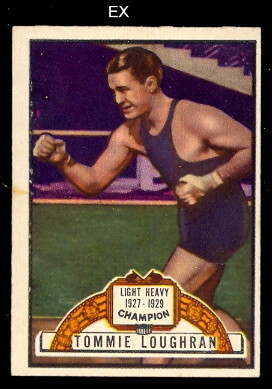 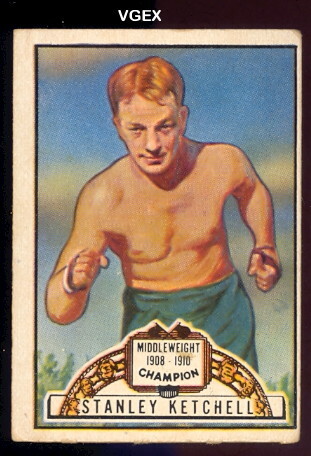 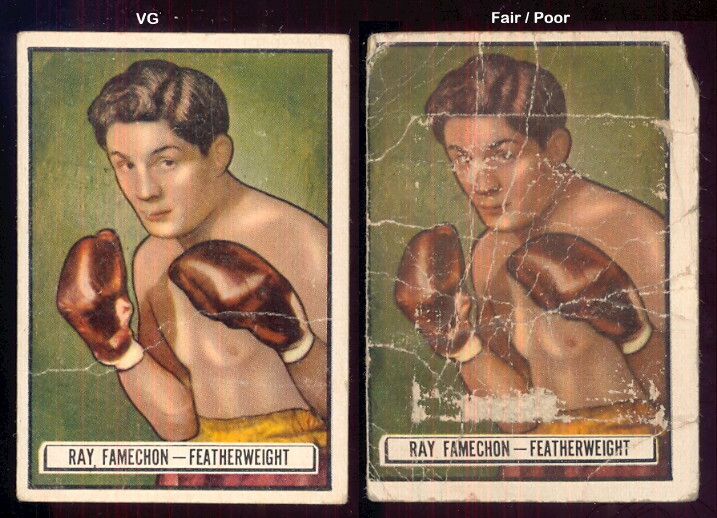 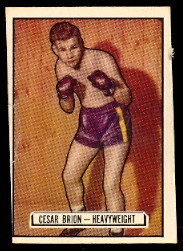 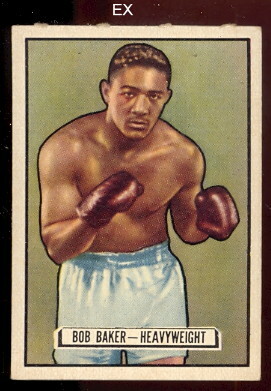 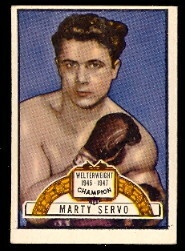 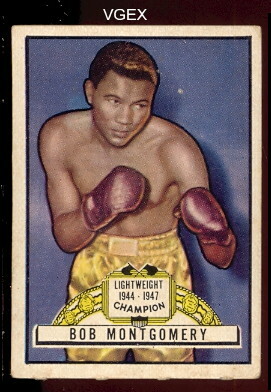 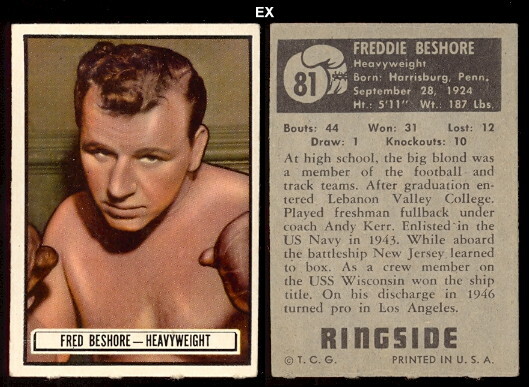 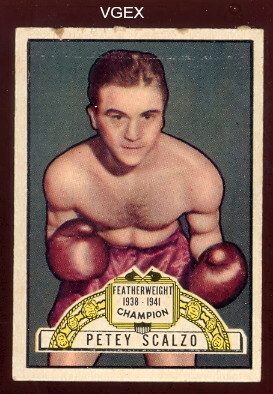 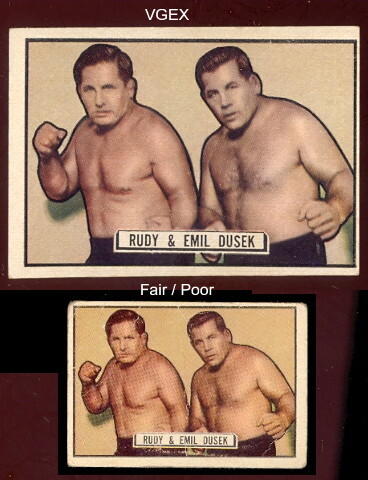 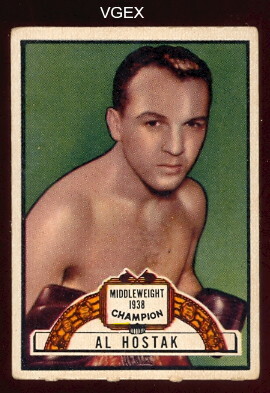 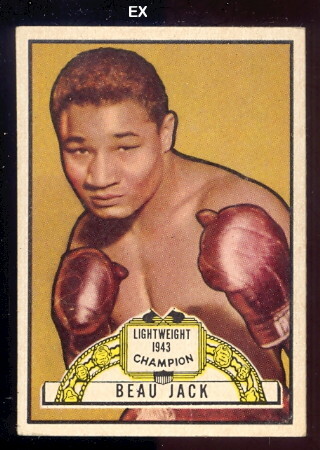 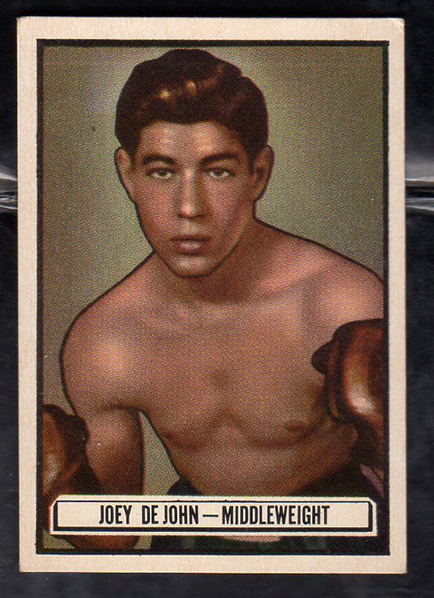 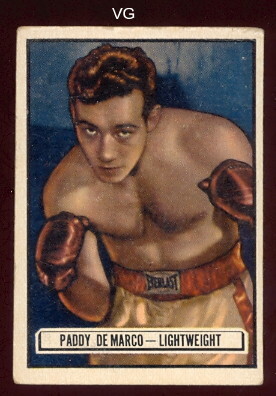 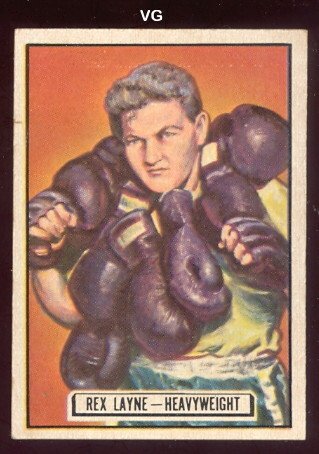 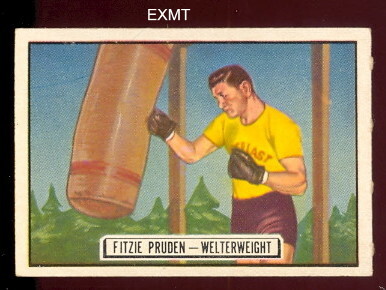 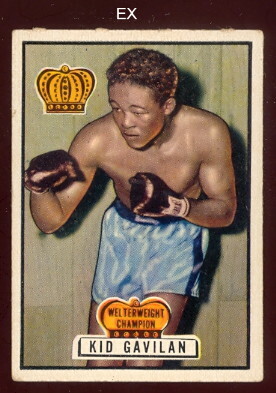 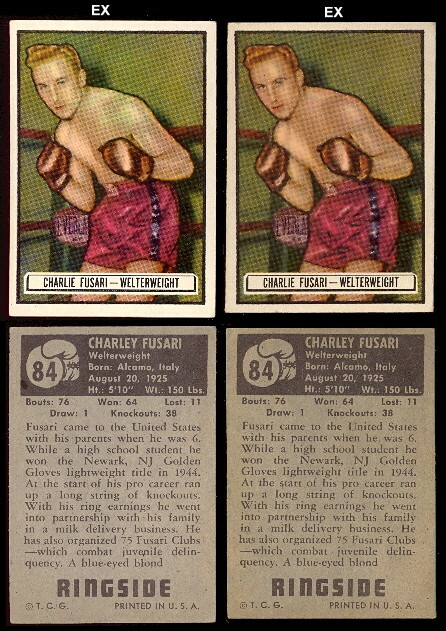 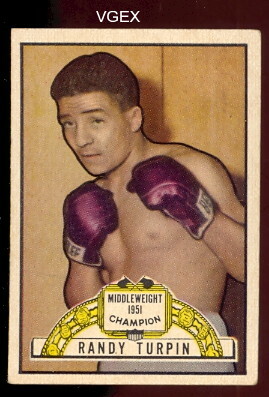 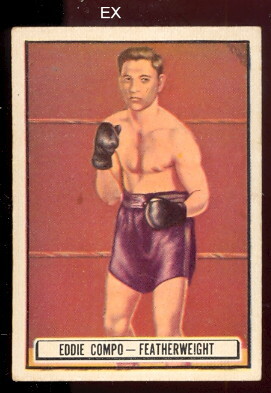 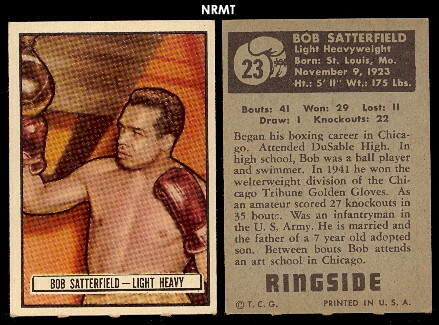 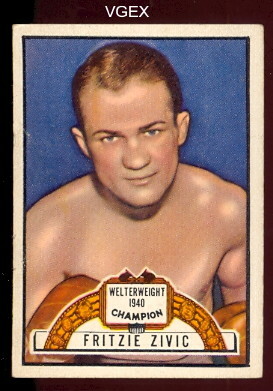 1951 Topps Ringside Boxing Cards!! 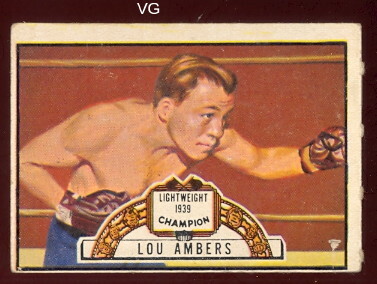 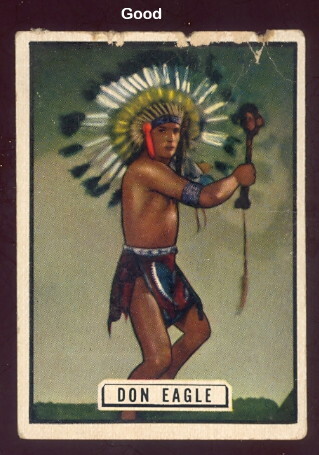 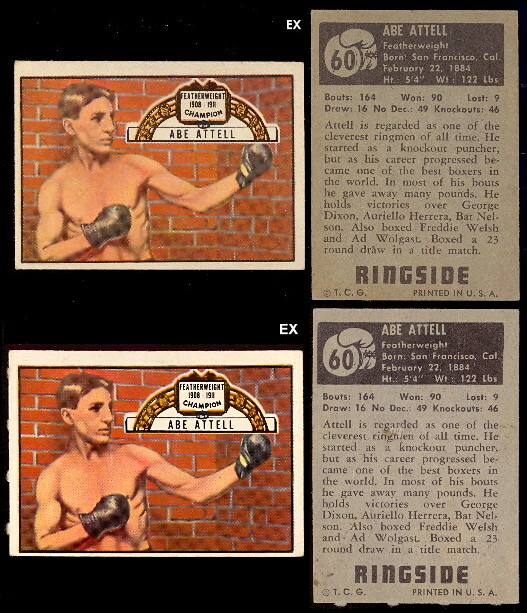 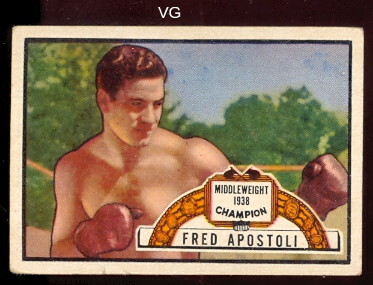 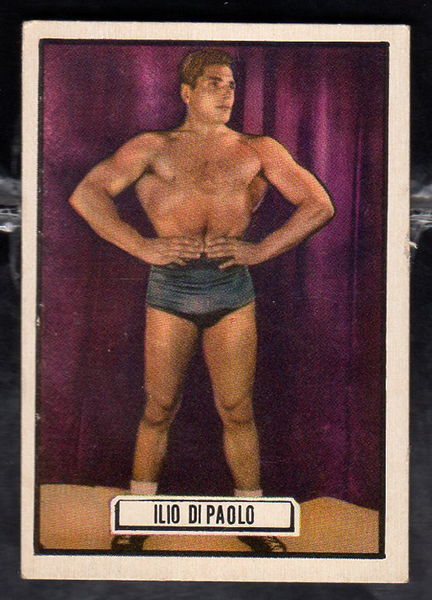 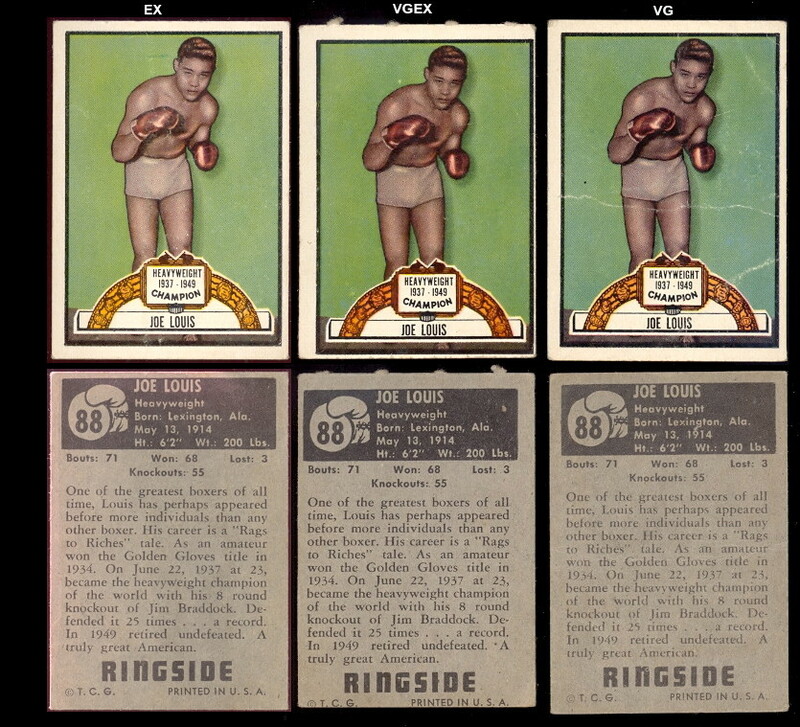 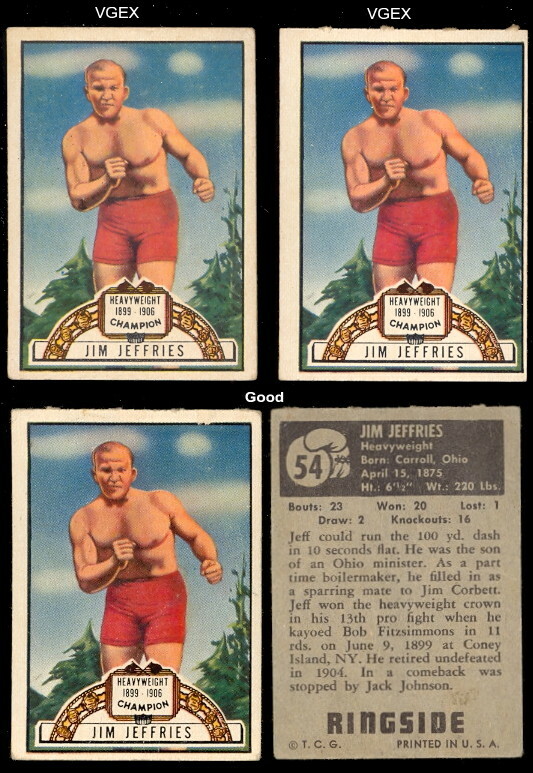 We are now featuring the Topps Ringside boxing set which was one of the most recent nationally-issued sets devoted exclusively to both boxers and wrestlers when it was issued. 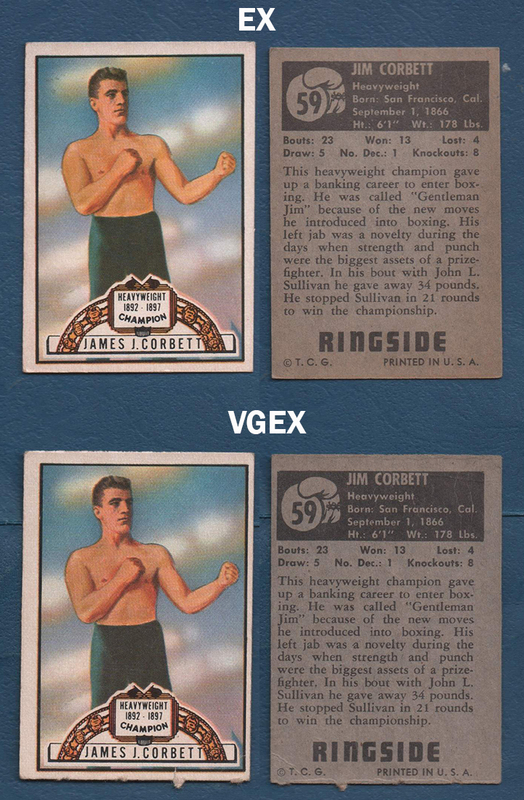 Cards measure 2-1/16" X 2-15/16", sometimes found in connected perforated pairs.